Save time. Save money. Get paid faster. DocumentPath enables customer statements to be sent out electronically (or to print hardcopies for customers designated to remain that way). Out of the box with base NAV, there is simply no way to do this. A user would need to generate a statement one by one for each customer, save it to PDF and send it out. If you have three or four customers, that’s not a big deal. If you have three or four hundred, it becomes a solid part-time job…and not a fun one at that. 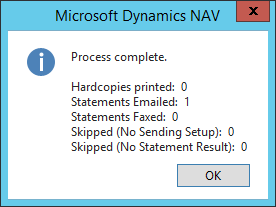 Using the same Document Sending setups as other documents, each customer can be configured to receive statements via email, fax or hardcopy. 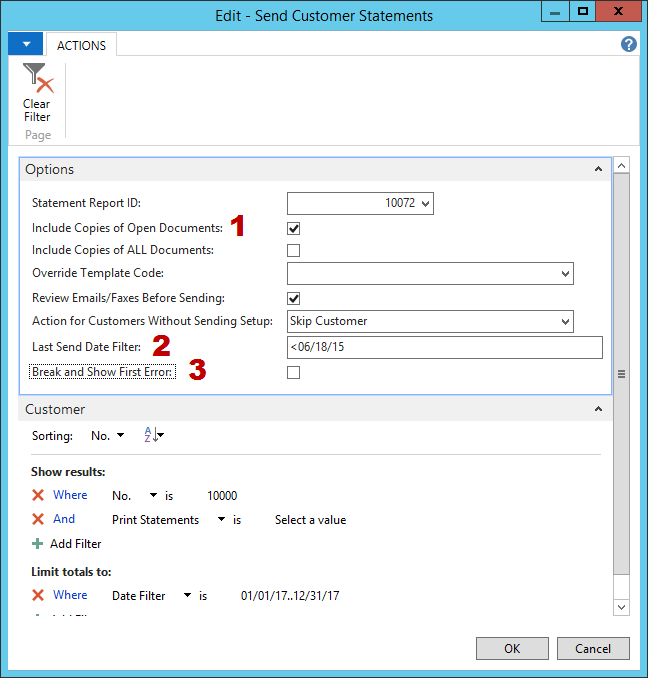 A new “Send Customer Statements” process handles it all. The numbered elements in the screenshot are discussed below. This one is a huge time saver! Use our option to include copies of all open invoices directly within the statement PDF. Eliminate call-backs asking for invoices that were never received or that may have been lost. Give them everything they need in one shot to get payments processed and received back faster. 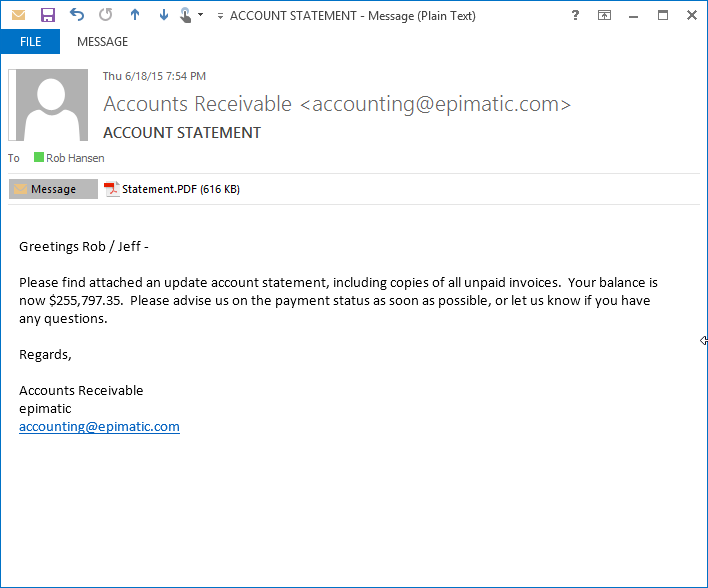 The “Last Send Date” filter makes it easy to avoid sending duplicate statements. This serves a couple purposes. If statements are being generated in “chunks” using filters, the Last Send Date filter (set in the example above to send to all customers that last received a statement prior to June 18, 2015) prevents overlapping chunks from resending duplicates. Also, in the event of a power outage or other failure part way through the statement process, the user simple restarts the function with the same settings and it will resume where it left off. As each statement is sent, the Last Send Date for the customer is updated to the current date so that when the process re-starts, the filter omits the customers that were already handled. Errors are handled properly. Run the process WITHOUT the “Break and Show First Error” option. The entire set of statements will be processed and a notice will appear stating whether there were any customers skipped due to errors. If there were errors, simply re-run the process with the “Break and Show First Error” option to stop on each error and see the respective message. Deal with the problem and carry on…nice and easy. As with all documents, use Message Templates to personalize messages and automatically ask for a suitable response. Even include flowfields (calculated fields) such as the current balance from the customer card.